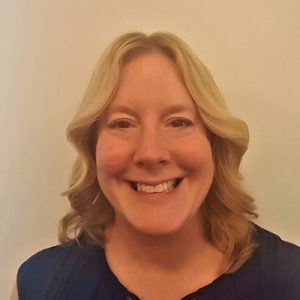 Amy Emerson is Director of the Law Library & Assistant Professor of Law at Villanova University School of Law Library. I joined AALL while I was still practicing law and thinking about making the transition to librarianship. It helped me wrap my head around the profession and understand what I was really getting into so that I could actually make the leap. As a newer librarian, the organization connected me with a lot of course materials that were useful to teaching legal research. Now I primarily rely on it for networking and professional development. I definitely make the most use of AALL’s government relations materials. Emily Feltren has done an amazing job of taking something that can be very daunting and making it simple and straightforward. 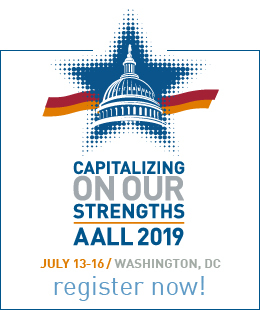 It was AALL’s support that gave me the courage to become an active advocate for legal information and libraries on both state and federal levels. Well, this is going to seem bizarre, but my favorite memory of AALL was in Chicago when a severe thunderstorm came through. It was an amazing night and it’s the first thing that came to mind. 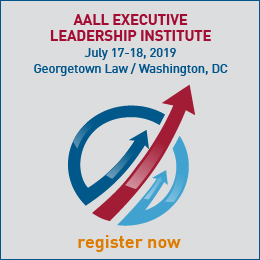 More generally, I can add that the best times at AALL are the moments between the conferencing when everyone is relaxing and laughing over dinner and drinks. It’s a great way to process what you’ve learned during the day and to connect with others who share the same interests and get your jokes. Anything with my son. He’s what keeps my world bigger than my work. Sadly, A Lawyer Writes, as I prepare for class next week. But also, in those last few minutes before crashing into bed, Hold my Hand by M.J. Ford, because life’s too short to miss out on crime thrillers. Every summer my extended family gets together for a week of reunion chaos in the Adirondacks. It’s fantastic.